When the weather gets colder, that's the time for winter athletes to come out of hibernation. Unfortunately, that chilly weather we love can be an obstacle to our body's optimal performance. As it gets colder, even the best winter outerwear can only do so much. That means you'll have to head indoors to warm up from time to time. That is, unless you have a secret weapon. 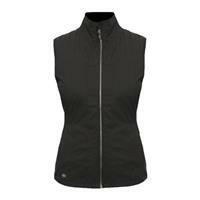 Heated vests for women are outfitted with wires that send warmth throughout your torso and into the rest of your body. Here at Buckman's Ski and Snowboard Shops, we know how important the perfect apparel is to your ideal snowy adventure. That's why we carry a variety of women's heated vests to outfit your outing. Heated vests keep you outside shredding the slopes longer. They can also be useful in your everyday life once winter's chill sets in. 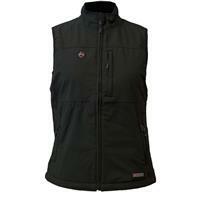 Check out our selection of heated vests for women at Buckmans.com or visit us at one of our seven locations found in Pennsylvania. How Do Heated Vests Work? 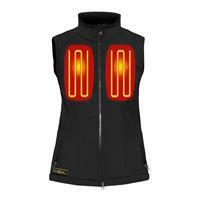 Heated vests are wired with an electrical current that will keep you warm even in frigid conditions. Each includes rectangular pads inserted into the vest. These have small wires that emit a low electrical charge. Generally, one of these pads is located on the back of the vest, while two more are on the front on each side of your chest. Rechargeable batteries are used to power the vest, so you won't have to worry about running out of juice during your cold weather outing. These batteries are found in one of the vest pockets in a small storage area, where they won't get damaged. Winter sports like skiing, snowboarding, and others are more popular than ever. Heated vests not only keep you warm while you're having fun outdoors, but they also provide additional benefits for those who enjoy staying active. Freezing temperatures can leave your body feeling slow, sensitive, and tight. However, if you add warmth to the equation, it boosts your body's optimal performance and allows you to do more. 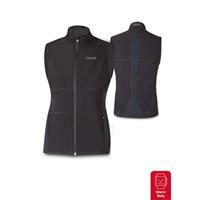 Having a heated vest also decreases your risk of injury. Buckman's Ski and Snowboard Shops has one simple goal: to get you what you need so you can go out and do the things you enjoy. Whether it's heated vests for women or our extensive variety of other apparel, gear, and useful accessories, we know you'll find something you love. We're also committed to providing you the best customer service experience to assist you in any way we can. Convenient Shopping: Besides seven convenient locations in PA, we offer an easy online shopping experience for everyone no matter where you're located. Price Matching: We provide the best prices, guaranteed. If you happen to find it cheaper somewhere else, we will match that price. Save on Shipping: Shipping costs can be a real drag. But at Buckman's, if you spend $50 or more, most orders are shipped for free. Going Green: In an effort to protect the environment, Buckman's has initiated some green practices into the way we do things, including a huge boost in our recycling efforts and the installation of a solar energy system at our corporate headquarters. If you've got questions, we've got answers. Ask us about our wide range of products available at Buckman's by contacting us today. We'll see you on the slopes!